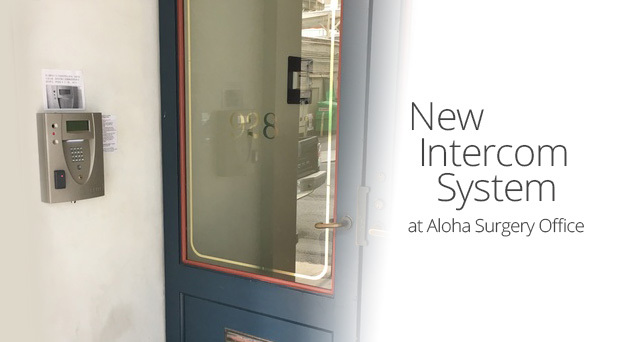 As of January 23, 2017, a new intercom system has been installed at the front door of the Hawaii Times Building where the Aloha Surgery office is located. The front door will now be locked 24 hours a day, 7 days a week. Please follow the instructions on the entry phone box. The intercom will call our office and once Megan receives the call she will buzz you in.